Paris, March 20, 2019 – Danone Communities, the Company's investment fund and social business incubator for low-income populations, announces a new investment in the social business Impact Water in Nigeria. With now more than 3 million beneficiaries around the world, Danone Communities accelerates access to safe drinking water for all, thus contributing to the UN's 6th Sustainable Development Goal (SDG). 4 billion people do not have access to safe drinking water*. In this context, Danone Communities announces a new investment in Impact Water Nigeria, a social business whose mission is to deliver safe drinking water, at scale, to schools and universities in Nigeria. Impact Water has been operating in Uganda for several years, where it has built a strong expertise, and has opened a branch in Nigeria in 2017. 90% of water in Nigeria is contaminated**. The challenge for the health and the future of this country, which is experiencing a very strong demographic growth, is therefore crucial. Impact Water's model is to install decentralized water treatment units mainly in schools and universities. Impact Water Nigeria has developed an innovative model, with water treatment units that are simple to install and to maintain for schools. Impact Water also adapts to the schools' financial capacities, with adapted equipment pricing and with several payment options. On top of its impact on health, Impact Water Nigeria also has a positive environmental impact: traditionally, schools use wood to boil the untreated water. This is a polluting option and the results on the quality of the water are quite random. 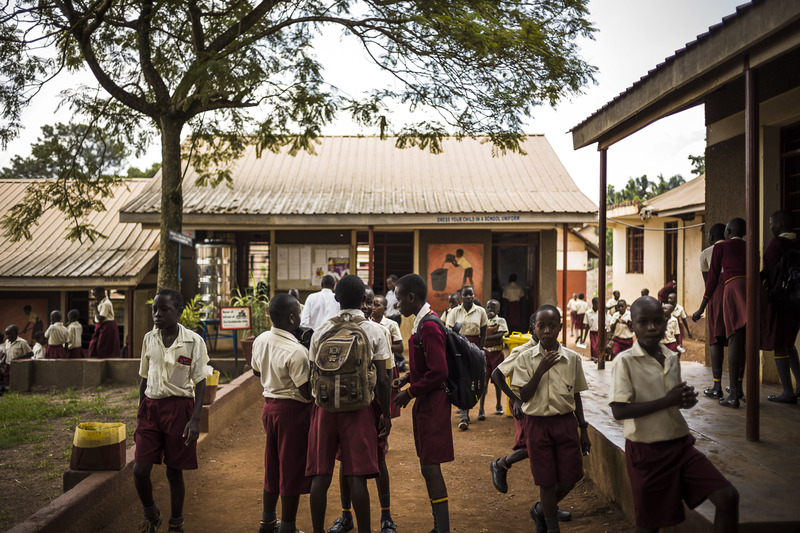 With a water treatment unit installed and operated by Impact Water Nigeria, a school doesn't need to burn wood anymore, thus generating carbon credits. At the end of 2018, Impact Water Nigeria had equipped more than 5,000 schools and universities, thus impacting positively 1.8 million children. With this 7th investment in access to safe drinking water, Danone Communities strengthens its portfolio and keeps supporting an innovative model of water access. These models are key to serve the 4 billion people who still don't have access to safe drinking water. Through all its investments in social businesses around the world, Danone Communities impacts more than 3 million people, everyday. Danone Communities has been a catalyst in spreading the pioneering model called Safe Water Enterprises (SWE). The approach is proven to be a cost-effective mechanism to deliver safely treated drinking water to poor communities. A recently conducted studyshows the untapped potential of the SWE model that could benefit 200 million people. In pursuit of this goal, Danone Communities is calling for wider adoption of the SWE model and further collaboration to help scale the model so more people and communities can benefit from safe and sustainable water. Danone Communities is an Incubator of business solutions targetinglow income communities living with 1 to 5 dollars a day with aspirational products and services addressing malnutrition and lack of access to safe drinking water. Danone Communities empowers innovative social entrepreneurs to achieve sustainable social impact. It does so by investing in social businesses as a minority shareholder, providing capital, technical and managerial expertise. Starting as a historical partnership with Nobel Peace Prize laureate Muhammad Yunus to develop the Grameen Danone Foods Company in Bangladesh, Danone Communities has continued to invest in social businesses throughout the years from Senegal to Mexico. To date, the portfolio consists of a total of 11 social business investments made in 15 countries with 3 million beneficiaries. Danone Communities is a catalyst in spreading the Safe Water Enterprise model, also known aswater kiosk model. Danone Communities has long been convinced in both the business and development case for investing in Water Kiosks. 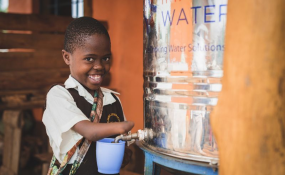 As a key player in the field of Safe Water Enterprises, Danone Communities joined forces with key partners, including Aqua for All, the Hilton Foundation, the Osprey Foundation, The Family Stone Foundation, to uncover "the untapped potential of decentralized safe drinking water enterprises" [social media release link]. The key highlight of the study finds that SWEs –these "alternative solutions which provide a modular,decentralised approach to delivering safely treated drinking water"– have the potential to be "a significant part of the safe water solution on a global scale as a cost-effective mechanism to serve the poor."